Join us this Friday, July 13, at the Lakeside Speedway for Kling Auto & Diesel Repair Night featuring USRA Modifieds, USRA Stock Cars, USRA B-Mods, Grand Nationals, Factory Stocks and E-Mods as drivers continue to pursue championship racing series points for the season. Kling Auto & Diesel Repair knows your vehicle is more than a tool that gets you from point A to point B, it’s your freedom. You depend on it, so it’s important your vehicle receives quality repairs and service. When you bring your vehicle to Kling Auto & Diesel Repair, they make sure your vehicle leaves trouble-free so you can have your freedom, and your peace of mind. Lakeside Speedway is proud to partner with our friends at Kling Auto & Diesel Repair for our race program this weekend! The pit gate opens at 5 p.m., spectator gates open at 5:30, the drivers meeting is at 7:15, hot laps start at 7:30 and racing gets underway at 8. General admission is $12, seniors (65+) and military are $10 and all kids 12 and under are admitted free. Air-conditioned suite tickets are $20 for adults and $10 for kids ages 2 to 10. Pit passes for adults are $30, kids 6 and under are $10. Beginning this Friday, the first-ever Rick Beebe Heating & Air Smokin’ Hot Summer Series presented by Prime Racing Products begins for five weeks of exciting action during a ten-race shootout for USRA Modifieds, USRA Stock Cars and USRA B-Mods at Lakeside Speedway and the I-35 Speedway in Winston, Mo. The series will begin at Lakeside Speedway this Friday and conclude at I-35 Speedway on Saturday, Aug. 11. The Smokin’ Hot Summer Series points fund is entirely separate and in addition to normal weekly racing earnings and points, with no registration fee for the points fund. Car registration at both tracks is required. Competitors must compete in at least nine of the ten Smokin’ Hot Summer Series events in order to be eligible for the guaranteed points fund payout. Each driver in each class will get one "mulligan" for one night of absence or worst finish if competing in all ten events. Points will be paid out on each driver's best nine finishes. The top prize for USRA Modifieds is $2,500 while USRA Stock Cars and USRA B-Mods are racing for $1,200 each. Each division pays down to 15th position and the total points fund is more than $20,000. In addition to the cash payouts, several contingency awards will be given to each of the drivers in the top 10 in all three competing divisions. All questions should be directed to Blythe Boney at Prime Racing Products by calling (816) 424-3170 or (913) 515-1841. For complete information, visit www.facebook.com/primeracingproducts. After last week’s competition, there is a new leader in the E-Mod standings as defending champion Billy Spilman has moved to the top in a title battle over Shawn Burns and Ben Stockton. Marshall Jewett paces the Factory Stock field comfortably ahead of Wayne Brooke and Matthew Matsukevich. Kacey Shields shows the way in Grand National action by 14 points over Don Marrs with Nick Newton third. Kevin Anderson holds a commanding lead over David Oxford and Brett Heeter in USRA Stock Cars. Tim Powell commands the USRA B-Mod list over Brad Smith and Luke Nieman while Mark Schafman leads the way in USRA Modified action ahead of Nic Bidinger and Kerry Davis. Find the track online at www.lakesidespeedway.net. For schedule info, car rules, regulations, and news. Contact the track at (913) 299-9206. Physical location is 5615 Wolcott Dr., Kansas City, Kansas 66109, one mile west of I-435 (exit 18) on SR 5 (northwest of Kansas City. Like and follow on Facebook at www.facebook.com/lakesidespeedway.kansascity. You may also email the track at lakesidespeedwaykc@gmail.com. 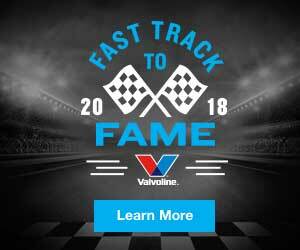 The 2018 sponsor list includes Valvoline Premium Branded Industrial Lubricants & Automotive Chemicals, Baker's Recovery & Tow, Budweiser, Casey’s General Stores, Central Auto Racing Boosters Hall of Fame & Museum, Central Auto Racing Boosters (CARB), Christy's Tasty Queen, Courtyard Kansas City Airport, Crystal Trenching, Health & Wellmobile, Johnson County Key Service, Joslin Jewelry, Kaw Valley Companies, LNF Fencing, Kling Auto & Diesel Repair, Metro Pawn, Mission Painting & Home Improvements, National Sprint Car Hall of Fame & Museum, RockAuto.com, Seeburg Mufflers, Sutera’s Shawnee, Tompkins Industries, Toners Jewelers, Ussery Auto Body, Design Source Flooring & Tile, Kenny’s Tile, Justin Lawson Media and Victory Trophies & Plaques.